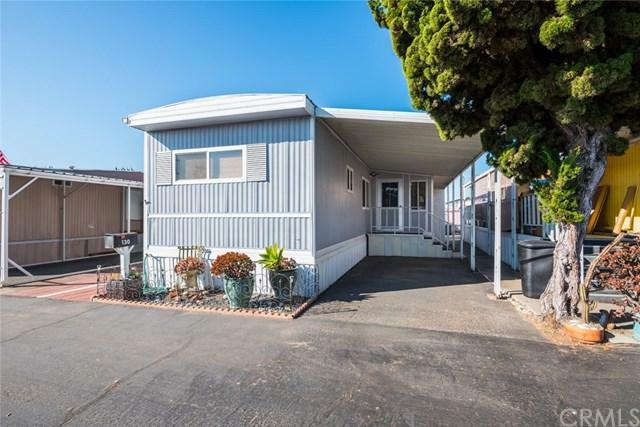 This newly updated and meticulously maintained manufactured home is located in a desirable area, and is in close proximity to the sparkling Pacific Ocean. This charming, 2 bd, 2 ba, 640 sq.ft. 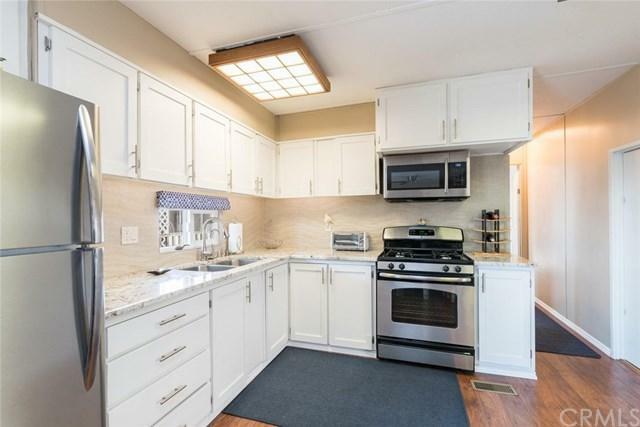 home features an open floor plan, beginning with a spacious updated kitchen, highlighted by beautiful granite countertops and tile backsplash with under-cabinet lighting, and stainless steel appliances. The kitchen also includes new laminate flooring, a spacious pantry, and an eat-in-kitchen dining area. The kitchen opens to the living room, which features new laminate wood floors, and glass doors that lead to the covered patio. This home features a fantastic master bedroom with new carpet and a built-in desk with cabinetry, as well as an attached bathroom with all new fixtures. This home also includes an additional full bathroom with tiled walk-in shower and new fixtures, as well as an additional bedroom with a built-in desk, new carpet, and plenty of windows to let in the light. In addition. This home also features a fantastic 105 sq. ft. bonus room, as well as a 175.5 sq.ft covered patio deck. 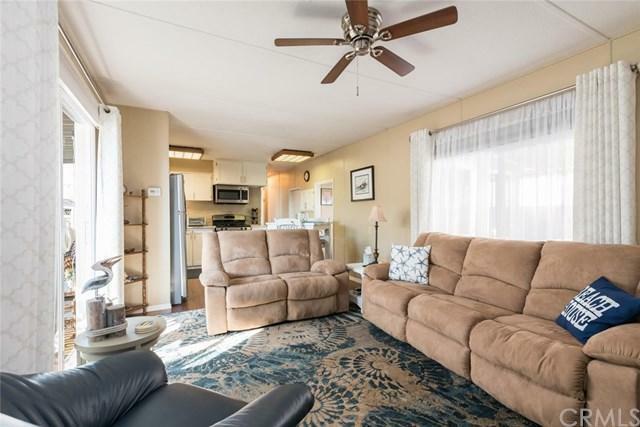 A perfect spot for entertaining with family and friends. This home+GGs amenities continue, with a covered carport with laundry area and stackable washer/dryer, and a covered and enclosed 8+GGx6+GG storage shed. 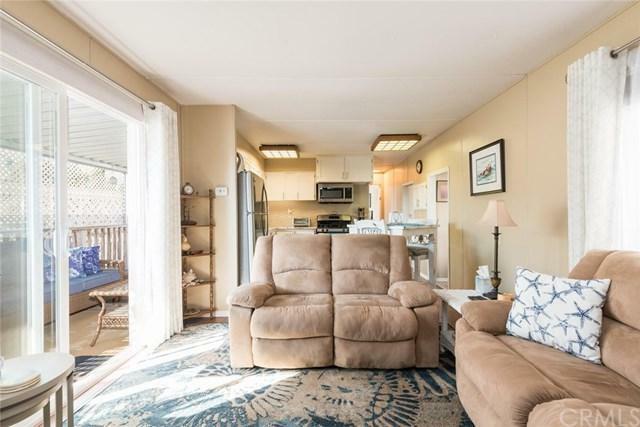 This amazing home is ideally situated in the 55+ Grover Gardens Mobile Home Community and is in close proximity to shopping, schools, parks, restaurants, and fantastic beaches.